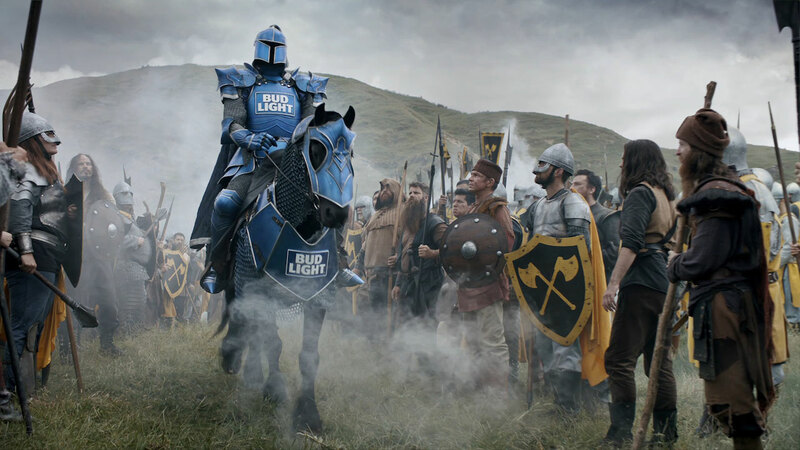 The new spot picks up where the last one, “Ye Olde Pep Talk,” left off. (A 30-second version of “Pep Talk” will air in the first quarter of Sunday’s game, for those who’ve been living under a medieval rock.) The king and his ragtag band of subjects are badly outnumbered, and outclassed, in a battle against some invaders. 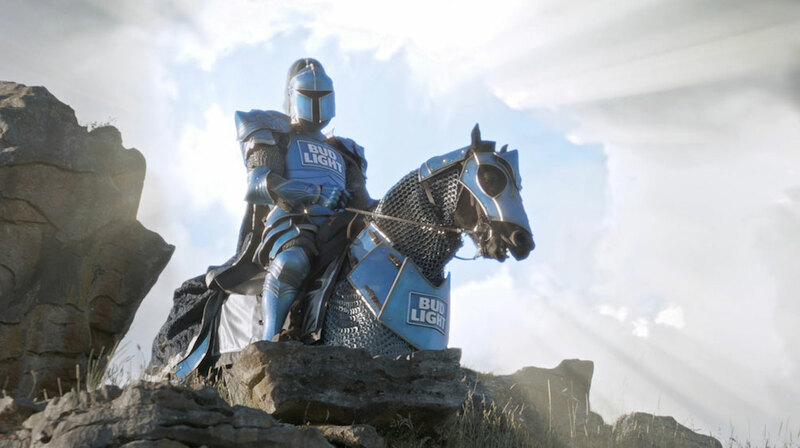 But they have an ace in the hole—the giant and imposing Bud Knight, who appears on a hilltop out of nowhere, resplendent in Bud Light-branded armor, as though sent from the heavens.